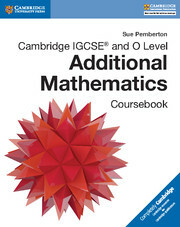 This coursebook is for students and teachers following the Cambridge IGCSE® and O Level Additional Mathematics (0606/4037) syllabuses. 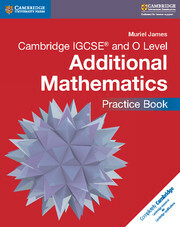 It takes a practice-based approach, with explanations of mathematical concepts followed by exercises for students to practice the skills required and give them the confidence to apply them. 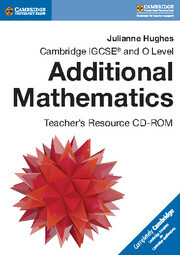 The book contains classroom discussion exercises, extra challenge questions and examples of worked solutions. Class discussion exercises to help students reinforce their understanding of new concepts. Clear worked examples and exercises to give students confidence in mastering new skills. Recap sections at the beginning of chapters to remind students of what they already know and where this is applicable to learning new skills.